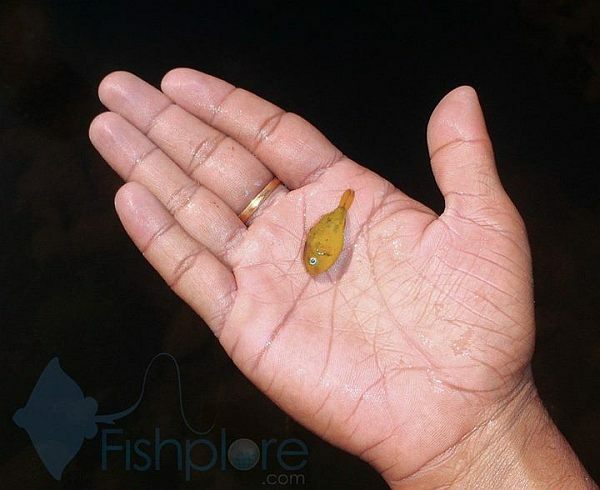 The genus contains some well-known aquarium species of which two, C. imitator and the ever-popular C. travancoricus, are also native to the Western Ghats. This new record is well north of their known ranges, however, and no Carinotetraodon species has previously been reported from Maharashtra as far as we know. It remains to be seen whether this impressive find represents a new taxon or not but it appears to differ from its Indian congeners in having only very few dark spots and blotches on the body. An interesting balitorid loach, also unidentified, was observed in faster-flowing water at the same locality. Neither are currently in the aquarium trade. Was a paper ever published?